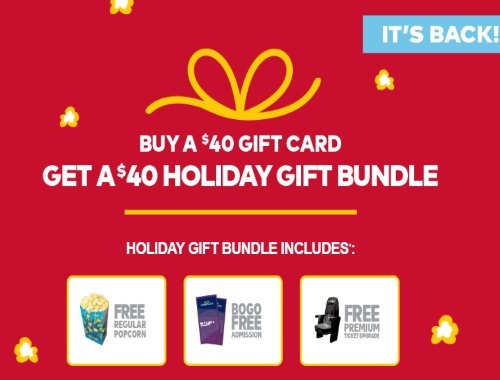 The Cineplex Holiday Gift Bundle is back! When you purchase $40 in Cineplex gift card you will receive a $40 Holiday Gift Bundle with some great offers, including the ones below! Buy online or at any Cineplex theatre Box Office from now until January 1, 2017. Use any of these offers from January 9 – March 29, 2017.